So this dairy farmer has a bit of a break from posting any news blogs. 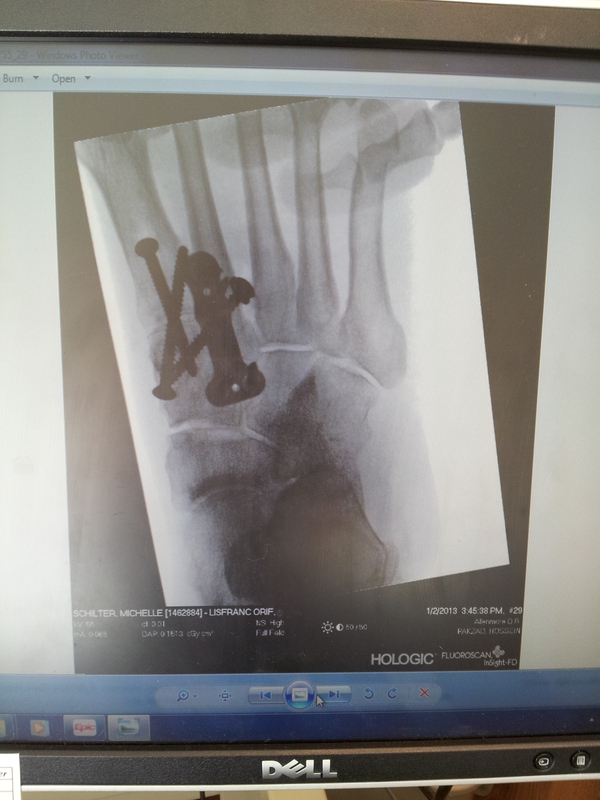 The reason I titled this blog “7 screws and a plate” is because that is what is holding my right foot together now. A little less than 2 years ago, I was involved in a farming accident. My husband and I were on our way to move in a heifer to be bred. As I was opening a fence, the “gator” rolled forward before I got all the way back on the vehicle. Unfortunately it rolled over the top of my right foot. I had thought I had snapped my Achilles Tendon and with a quick surgery and some time in a cast I would be back to normal. Not the case. The summer of 2011 was spent in a walking boot. Apparently lower foot injuries take a LONG time to heal. I followed the doctor’s instructions and spent a lot of time working around the dairy in a boot. After I was given the ok to resume normal activity I started slowly back to recovery. The foot never felt right. In 2012, the doctor decided to perform a Liz Franc reconstruction procedure. It should have fixed it. 6 weeks in a cast and 6 weeks in a boot and it should be good. In the meantime my kids had 2 fairs, a trip to Cougar Youth Weekend, and a business trip to Washington D.C. We survived but it was a long 12 weeks. I was given the go ahead to resume normal activity. It never felt right but the doctor said keep working through it. 7 screws and a plate out to do it!! December 2012 – I had had enough. Foot pain all the time and just getting worse. Next procedure – Foot Fusion. In a matter of 12 days, I met a great Orthopedic Sports Medicine doctor and he spent almost 2 hours with my husband and I explaining what I needed to get back to normal and scheduled the surgery ASAP. Why ASAP? 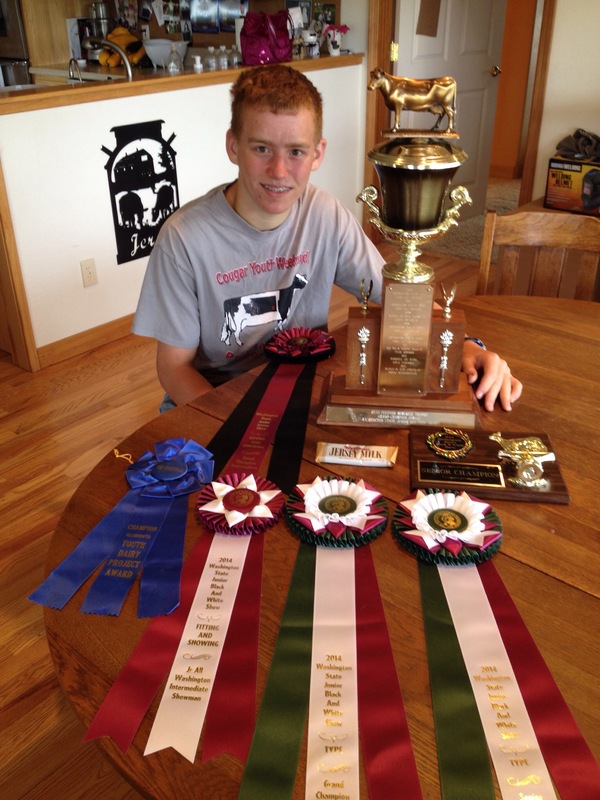 When you are a dairy farmer and have 3 children who are involved in 4-H, Junior Holstein Activities, and School activities, a mom has no time to sit around and wait. So now it is recovery. My doctor is very happy with the progress and loves the fact that I am such a compliant patient. After almost 2 years, I am ready and willing to do anything to get back to normal. I miss being at the dairy feeding calves, working with our vet, working with the hoof trimmer, just being at the barn. The clock is ticking and I am on the road to recovery.